Bizzy Bee Playcentre is a kids’ play area located in Toronto, Canada. With many kiddie toys, and other kiddie games, the kids are usually kept busy and they have a nice time while playing with other kids of the same age group. 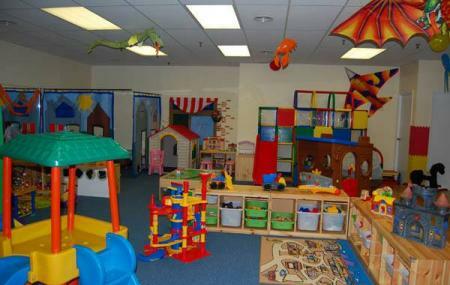 Reasonably priced, this indoor playground helps in overall mental and physical development of your child and is a boon for the parents from the neighbouring areas. Create a customized plan for your visit using the Alliston trip planner. You can use ready templates or start from scratch for the same. Add comfortable hotels to your plan, choose from the recommended hotels in Alliston like Lanes Riverhouse Inn & Cottages, Rodd Brudenell River Resort and The Old Winsloe House. Explore the best Alliston vacation packages that will take to you important landmarks of the city! For getting in, check out how to reach Alliston. Love this? Explore the entire list of places to visit in Alliston before you plan your trip. Fancy a good night's sleep after a tiring day? Check out where to stay in Alliston and book an accommodation of your choice. This place is closed down. Number and place does not exist.